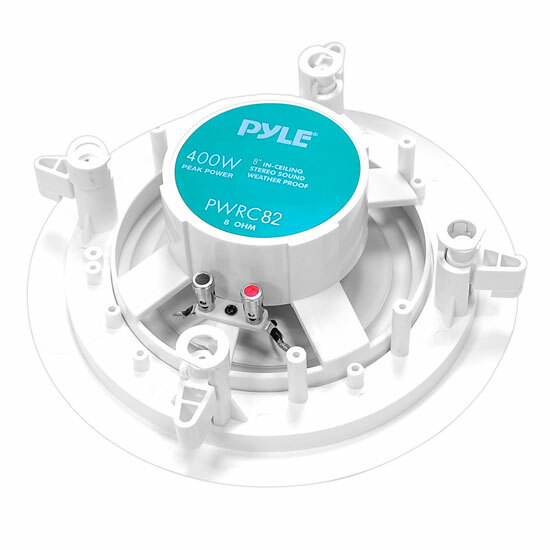 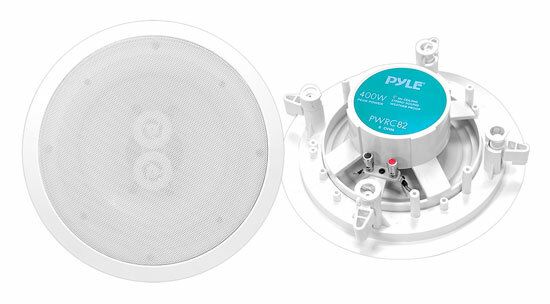 The Pyle Home PWRC82 dual-channel in-ceiling speaker system delivers stereo sound to any room in your home or office without cluttering floor space. 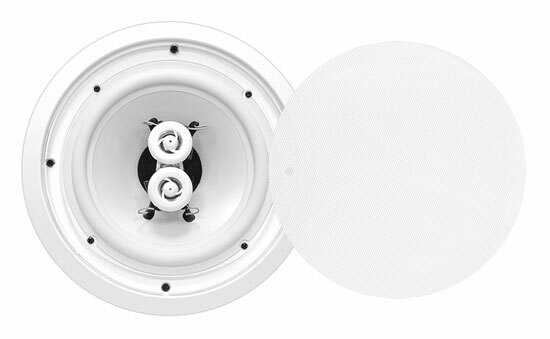 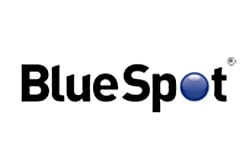 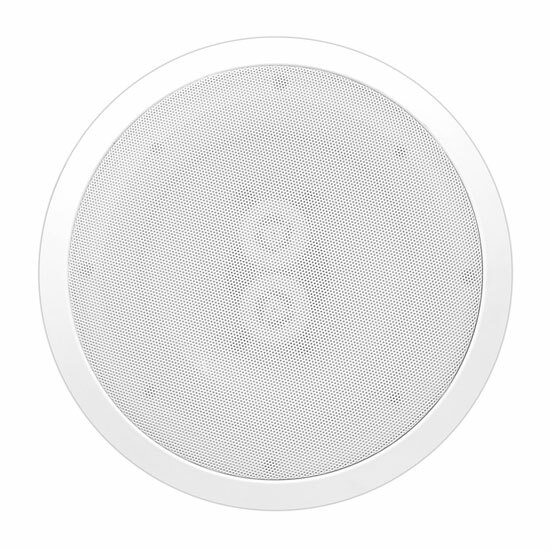 The moisture-resistant speakers can be placed indoors, outdoors, or anywhere excessive moisture is a consideration. 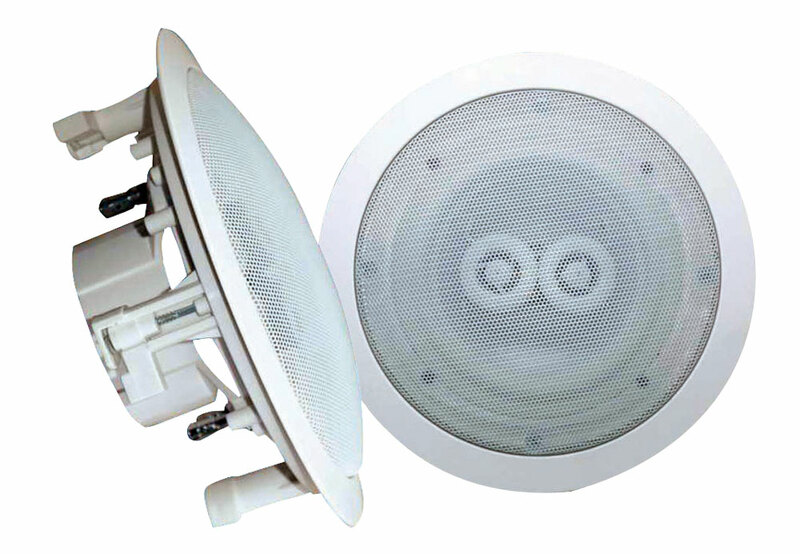 Included in the kit is the mounting hardware for installation, and a template for existing construction. 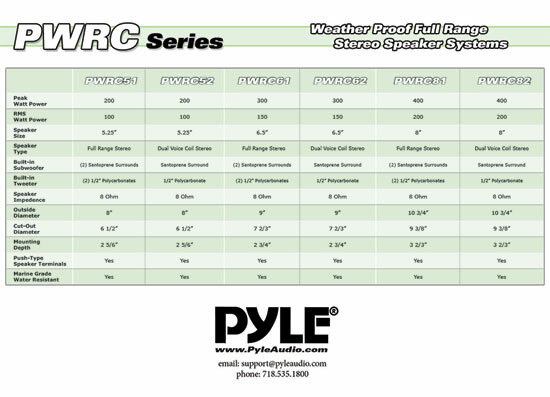 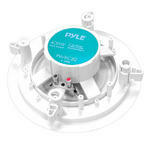 For new construction, consider one of Pyle's mounting brackets for precise installation.